This is the introduction to the Gospel of Luke. Luke was a doctor who wrote this Gospel as well as the book of Acts. He got a bunch of eyewitness accounts of the life of Jesus and compiled them together in this book that he wrote to Theophilus, a friend and fellow believer. This book was written to help teach those who didn’t know about Jesus who He is and what He did. It also was a reminder to those who knew Jesus to remember. The same is true for us today. There are those who don’t know who Jesus is that can learn from books such as Luke that tell about Jesus and His life and ministry. It is also good reminders of those who have been following Jesus for a long time to remember because we are human and sometimes we forget. It’s good to remember. It’s good to have certainty like Luke wanted Theophilus to have. As we enter the Advent season in preparation for Christmas, let us share with others about Jesus. Let us share to those who have heard the story numerous times and to those who are hearing it for the first time. We all need compassion. We all need kindness shown. We all need patience. We all need forgiveness. Just as much as we need those things shown to us, we need to show that to others. God has blessed us greatly with kindness, patience, forgiveness. We need to be willing and able to show that same love, compassion and forgiveness with others. This week, let us love one other. Let us show that love with humility and meekness. Let us have compassionate hearts for those hurting and those in need. Let us forgive one another. Let us encourage one another. Let us do that with the love and kindness and compassion that God has shown us through Jesus. This past Friday was the tragedy that took place in Paris. It was horrific and heartbreaking. And it is a time where around the world there have been #PrayersForParis. It is a time to mourn and comfort with those in Paris. And sometimes all we can do is come alongside those who are mourning and sit with them and give a shoulder to cry on and weep with them. Whether it’s those on the other side of the world or those that are next door, we need to pray for those who are mourning. We need to comfort those who are hurting. And we are to trust God will help us to have the right words to say when the time comes to speak & give glory to Him through all times. Now everyone that know me knows that I love Charlie Brown, Snoopy and all the Peanuts gang. I grew up on the comic strip. I watched all the cartoon specials, TV shows and movies. So I was super excited when I heard this new movie was coming out. Like any cherished property, there is a concern about whether it gets things right. Does it capture the heart, the essence of what made it so special in the first place. Given that this film was written by Charles Schultz’s son & grandson, the story was in good hands and it showed. This film had the heart of the old comic strip. It captured the essence of who Charlie Brown is. It showed the great imagination of Snoopy. It captured the personality of Lucy so well. All the characters were real and honest to who they are in the comic strip. Sure it’s all flashy and modern with CGI animation, but the heart of the story sticks true to the source material. And that was what made it awesome for me. I wish that more movies would take a page from The Peanuts Movie and remember the heart of the things while they’re telling new stories. 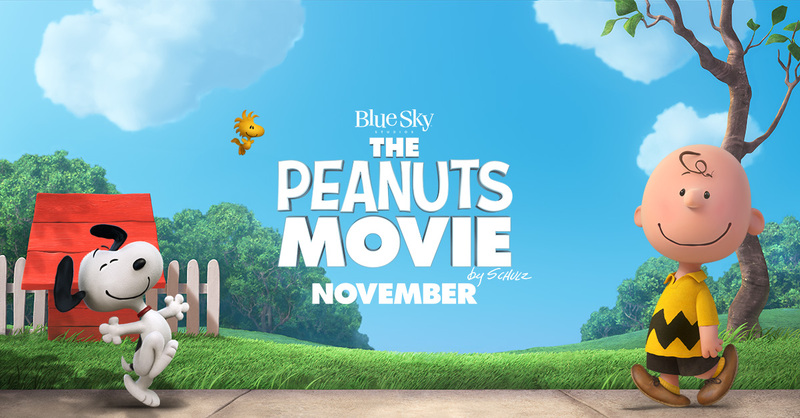 If you haven’t seen it, go see The Peanuts Movie. It is well worth the price of admission. It was my favorite animated film of 2015 and probably top 3 films overall of the year.